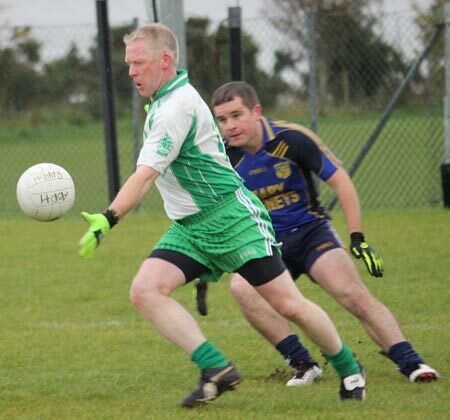 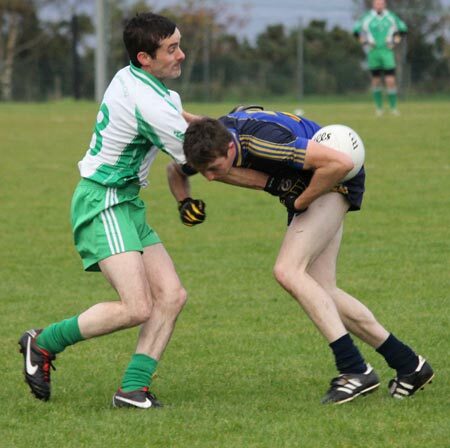 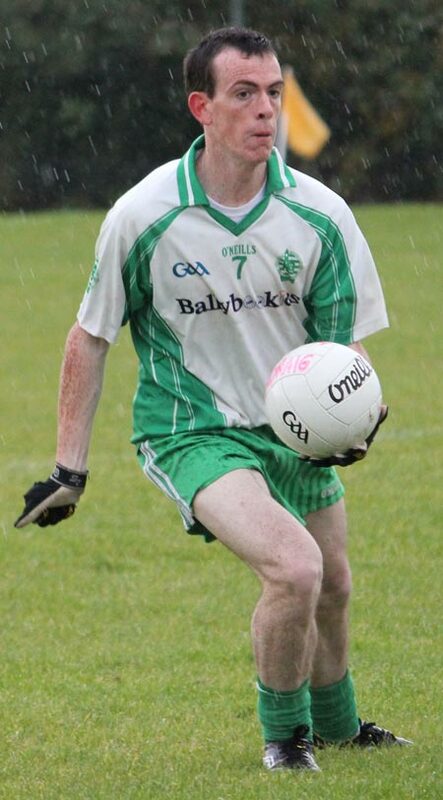 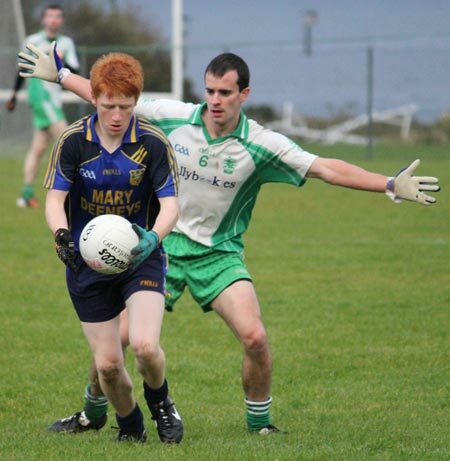 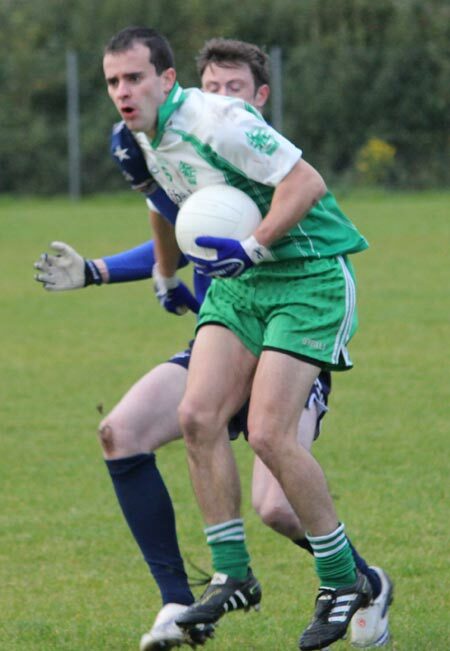 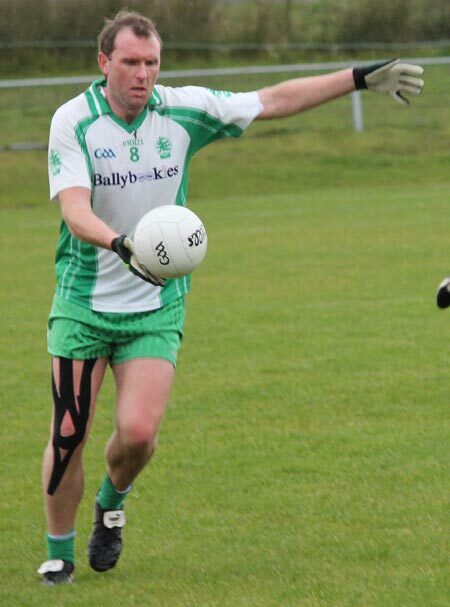 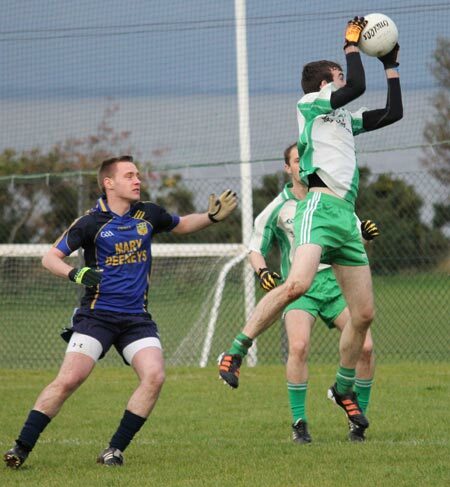 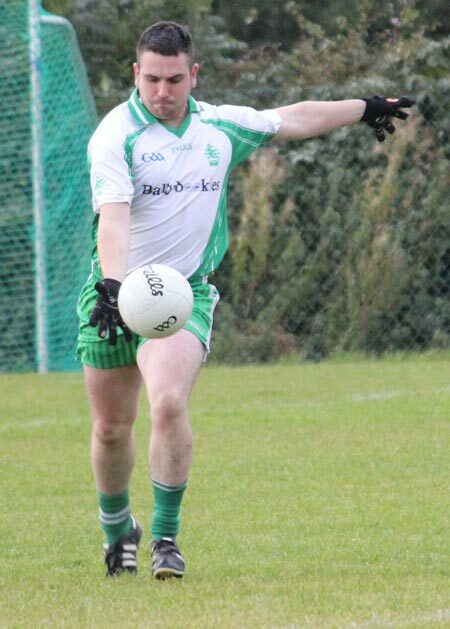 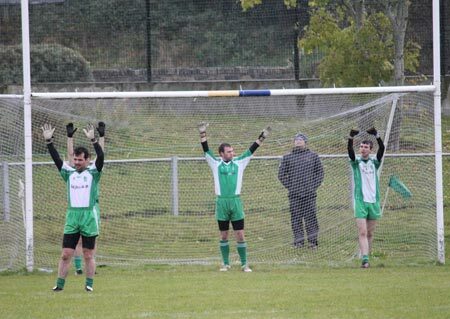 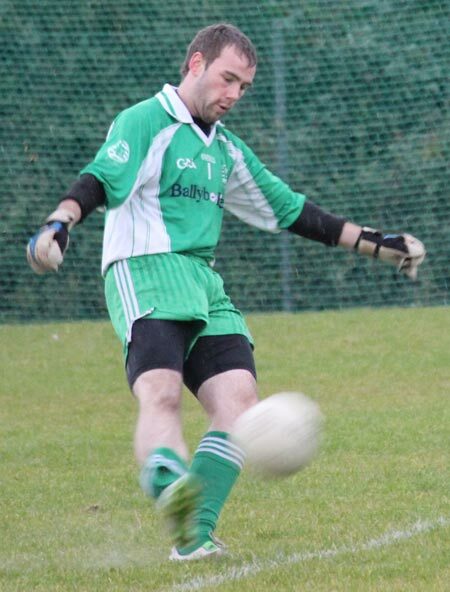 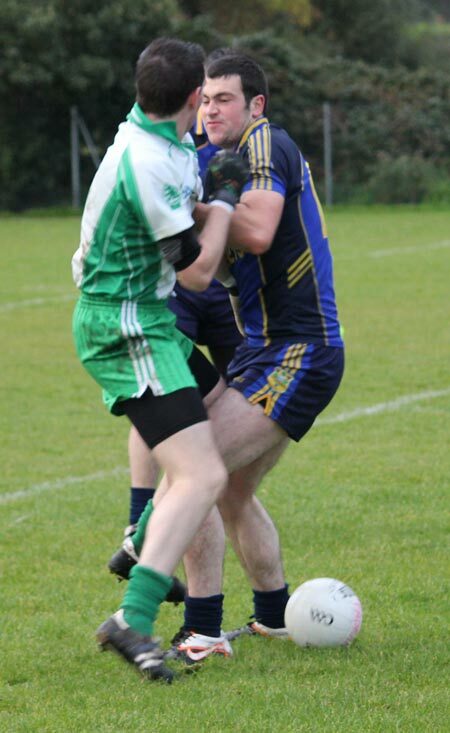 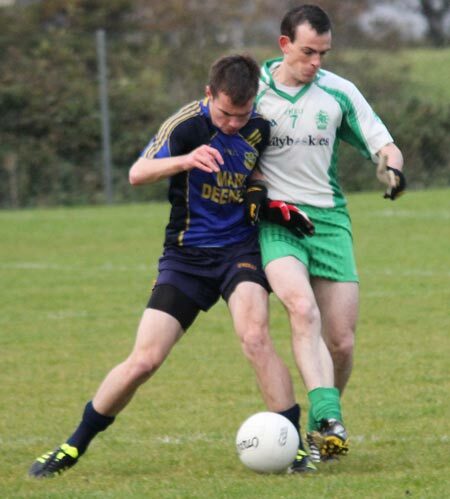 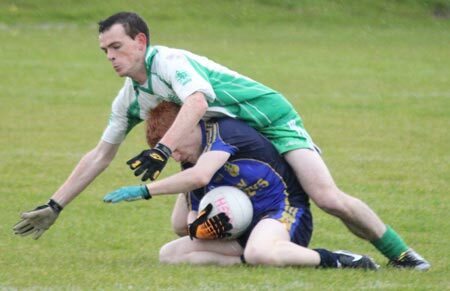 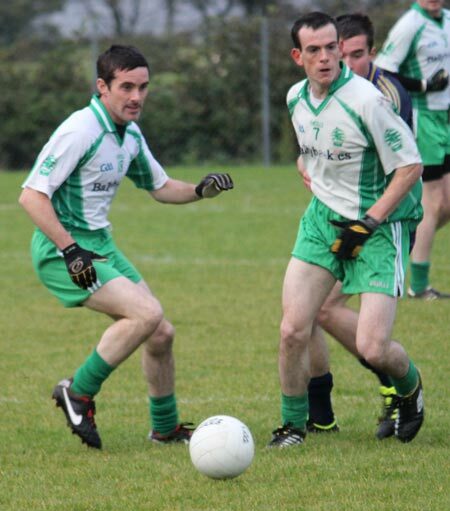 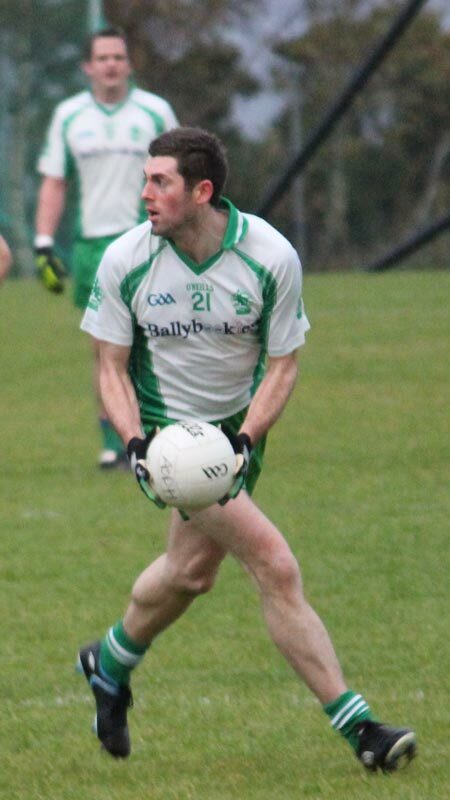 Aodh Ruadh took two points back down the road from Inishowen, triumphing over an understrength Muff outfit on a scoreline of 4-13 to seven points. 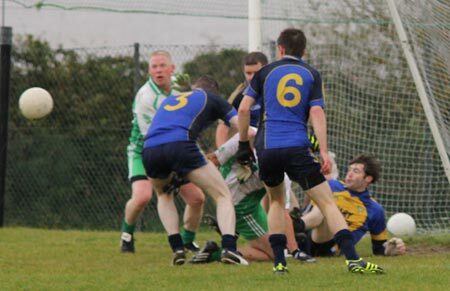 Three first half goals helped end the game as a contest by half time. 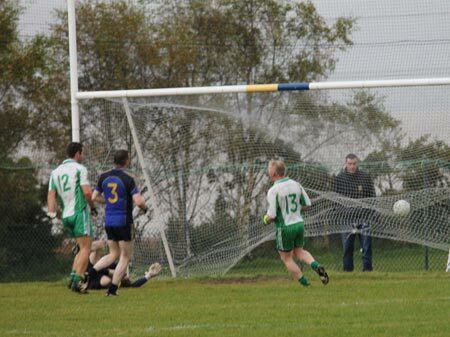 David Dolan hit the first two and was straight through for the hatrick, but elected to give the honour to Brian Roper who had raced up the left to support. 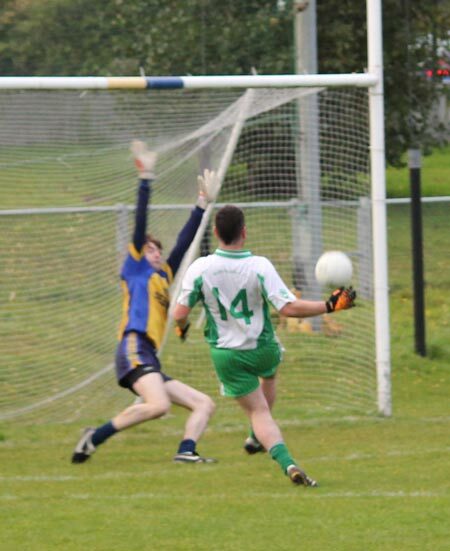 Speaking after the game Dolan said, 'I felt I had to give the young fella a bit of a confidence booster.' 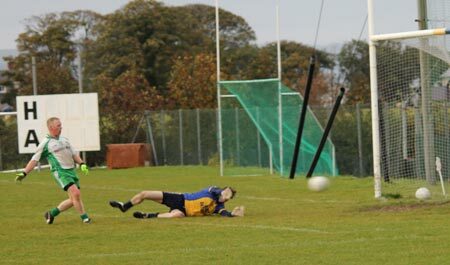 The score at half time was 3-7 to 0-3 and the second half was only slightly more competitive. 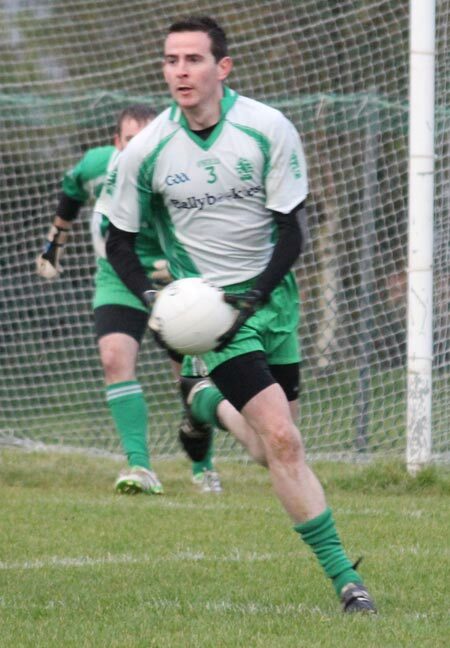 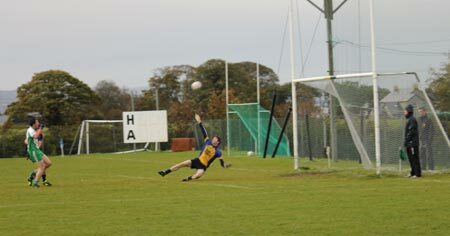 Diarmaid McInerney added a second half goal and hit also three points over the course of the game. 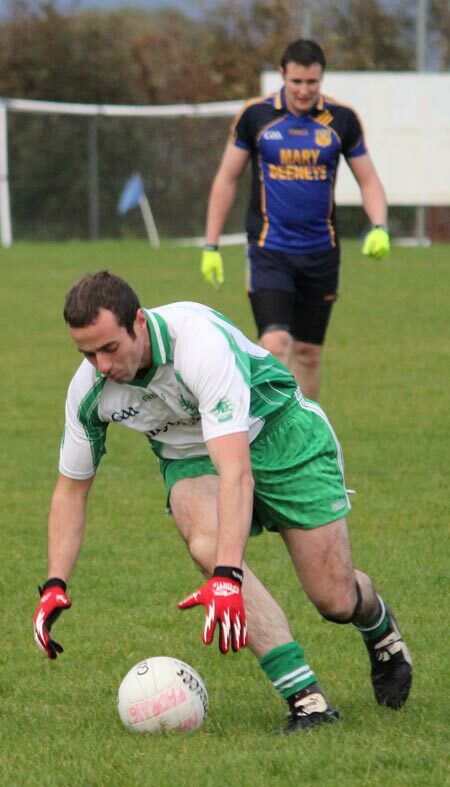 Also in on the scoring act was Peter Boyle who hit two 45s. 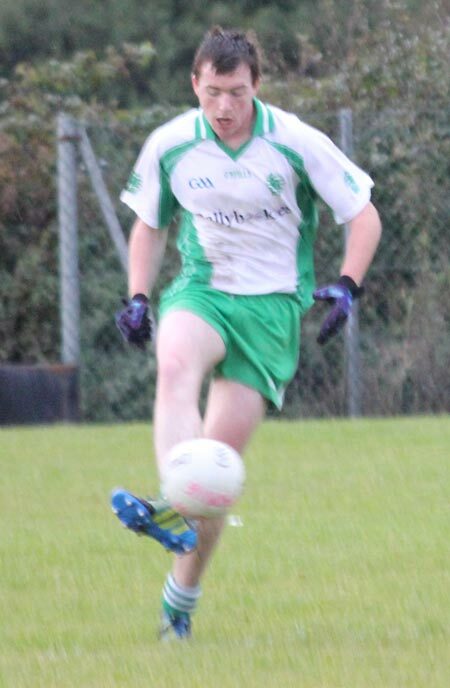 Martin Gallagher was in good form around the middle of the park again, finishing with two points to his credit. 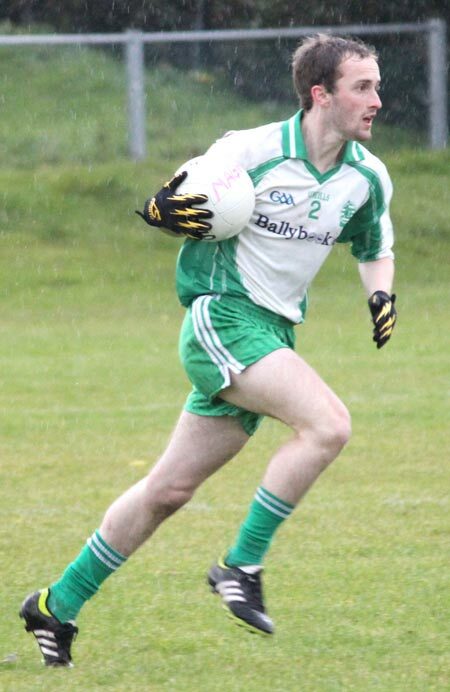 Aodh Ruadh ended the game with 11 different scorers with Ciron Whoriskey, Eamon McGrath, Stephen Ward, Shane Ward, Kerry Ryan and Johnny Gallagher all registering a point apiece. 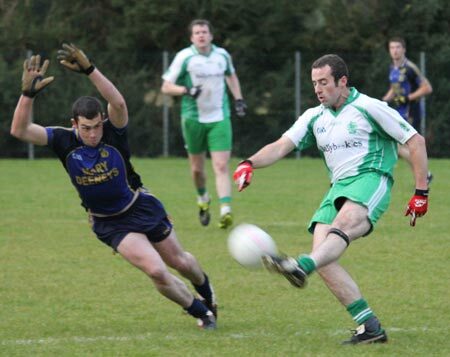 Carndonagh and Red Hugh's remain to come at home in the league. 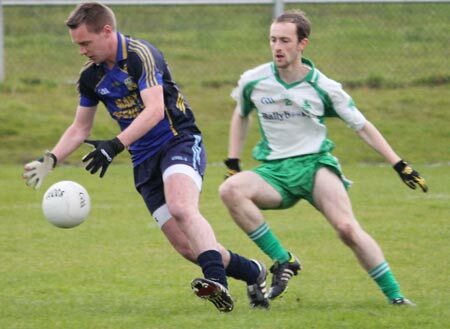 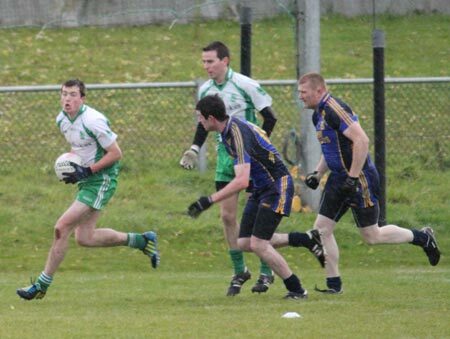 While division three survival is still very much up for grabs, Ballyshannon now have their fate in their own hands. 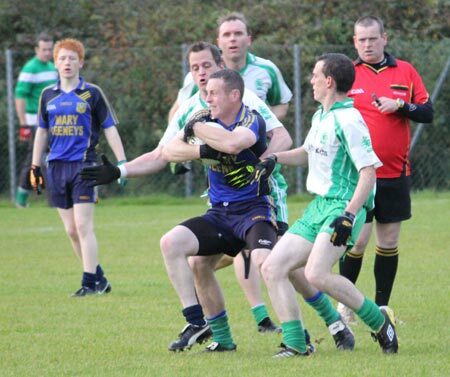 Next week an intermediate championship semi-final against Naomh Colmcille awaits.